Madhya Pradesh (MP) GK Quiz No. 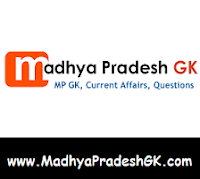 3 with Answers : Madhya Pradesh (MP) Samanya Gyan Quiz, Hindi GK Quiz Objective Questions with Answer for all competitive examination of MP State Government, MPPSC, MP Policem IBPS, SSC, BSF, Police Bharti, Teachers Exam, Admin services, State PSC, Bank, IBPS, CTET, MPTET and other examinations. This Madhya Pradesh (MP) GK Quiz or MK GK Sample Paper Question and Answers is based on MP SI Exam Paper 2012 held in previous years. Here is Sample Question Paper for all competitive examinations. Q.1 Which one of the following Amendments has been described as Mini Constitution? Q.2 Which of the following organs the United Nations Organization elects/elect judges of the International Court of Justice? Q.4 Power from powerhouses is often transmitted as alternating current at 33000 volts or more Why is power transmitted as such high voltage? Q.5 When a patient’s blood pressure is taken the pressure exerted by blood on the walls of the blood vessels is measured At what stage is this pressure measured? Q.6 The winner of Indian Premier League 2012 is? Q.7 Which of the following is a tribal group of Africa? Q.8 The Chairman of the Madhya Pradesh Public Service Commission is? Q.9 The word ‘Satyameva Jayate’ in the National Emblem are taken from? Q.10 The Tropic of Cancer does not pass through? Fula(C) is a tribal group of Africa.